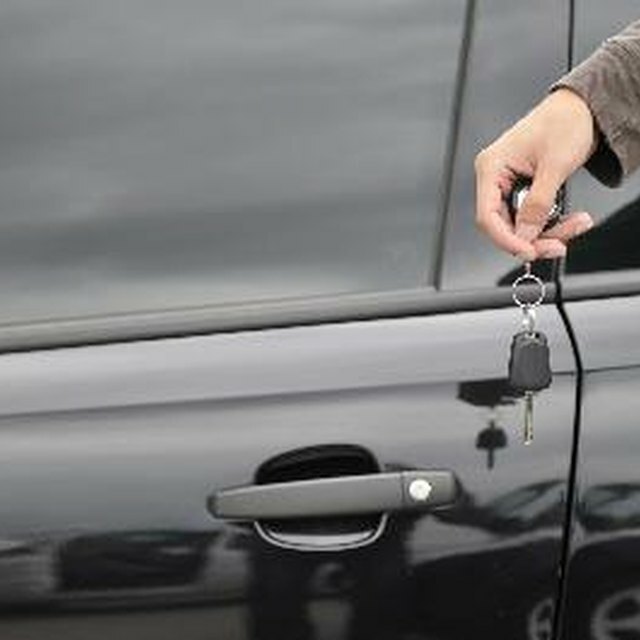 The Texas Department of Motor Vehicles has established rules for transferring car ownership to a new buyer. You can protect yourself when selling a vehicle by having all documents and records in order and following the DMV's rules to the letter. If you do not transfer ownership properly, you can find yourself responsible for tickets, taxes, liens and other costs. Sign over the car's title to the new buyer by writing down the odometer reading, the sales price, and signing and dating the back of the title. Remove your license plates. The plates are yours, and the new owner should use his own. Make the buyer aware of any liens on the car. Ideally, you should pay off and release any liens before selling the car (as well as obtain a Release of Lien form from the lien holder and give a copy to the buyer). However, any existing liens transfer to the new owner along with the car's title. Go to the county tax office with the buyer. You can find the nearest tax office on the Texas DMV website (see Resources). Fill out and sign a Vehicle Title Application, and confirm that the buyer signed and submitted it to the county tax office. You can get the forms online (see Resources) or at the county tax office. Once the Texas DMV receives the application, you have clearly and officially transferred ownership of the car and are no longer liable for it. Submit a Vehicle Transfer Notification to the Texas DMV within 30 days if you cannot go to the county tax office with the buyer. Keep copies of all documents and records related to the sale (signed title, application, notification, vehicle registration receipt, lien release if applicable). If a dispute arises later, you can use the documents to defend yourself. If at all possible, go to the county tax office with the buyer to submit the vehicle title application. While simply signing the title transfers ownership legally, the state must be aware of that transfer, or the Texas DMV sends you any bills and holds you legally responsible for paying them. Going with the buyer ensures that the state receives the paperwork and that the buyer does not delay past the 20-day deadline or simply forgets.